That waiter was so funny! I really enjoyed him. I liked watching the video and hearing the music. Brings back such wonderful memories. 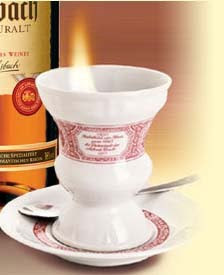 Very interesting about the Treaty of Versailles and that only the French can use the term cognac. Thank you for the history lesson! Hi! 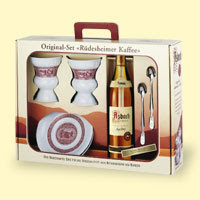 Our family loves Rudesheimer Kaffee. I recently borrowed my mother-in-laws set to share with friends. I would love to have my own set, but they are difficult to find. I am so sorry I unfortunately do not live in Germany any longer. I would have mailed you one if I did.